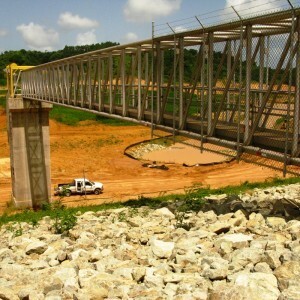 Due to the sedimentation problem that suffer most conventional reservoirs, the firm used the offstream concept for the design of Rio Fajardo and Rio Blanco reservoirs. The main benefit of an offstream reservoir is that only a small part of the sediment load transported by the river is diverted to the dam. The designed reservoirs eliminated over 90% of the sediment load, virtually eliminating the need for a large sediment storage pool. This enabled the development of a reservoir with large hydrologic benefit, and a small sediment storage pool, and made feasible the utilization of a site which had never previously been considered for reservoir construction.